Summer’s arrived, scorching and sweltering, and as much as I longed for it in winter, I find myself now wondering, why? There’s one big bonus, though, for the vegetable gardener– I can see my eggplant, okra, tomatoes, beets, and spinach growing almost daily. If I watched long enough and hard enough, I might just see the zucchini grow! I made raised vegetable beds this year, instead of just mixing new soil into the existing one on the ground, as I did in past years. This was followed by multiple trips to the store to buy enough topsoil and humus to fill them up. I have Desi to thank in big part, because who do you think put the veggie beds together and then hauled all that soil? I learned a thing or two about raised vegetable beds that I thought I’d share. One, be sure that the wood you buy is not treated with chemicals (as a lot of wood meant for the outdoors is), because they will leach into your soil and get into your veggies. After walking through Home Depot twice and finding that they did not carry untreated wood that was also long-lasting, like oak or cedar, I settled for reasonably priced oak beds from a local nursery. They were sold precut and notched and all, and all Desi had to do was nail them together, which took him just a few minutes. Second, you need a 50-50 proportion of topsoil to humus (or soil conditioner) to get a decent vegetable bed going. And, of course, try to buy organic if possible. Soon after I planted the veggies in their homes and they were all cozy, a colony of ants descended on them. I am all for sharing my produce with the ants and the birds and such, but the plants need a chance to grow first. So on Desi’s advise (he had seen his mum do it) I sprinkled some turmeric powder around the bed and what do you know? The ants just disappeared. I don’t believe the turmeric kills them (I wouldn’t want that), but it does seem to repel them. Another great use for this invaluable kitchen spice. My dad also recommends compost tea, that rich, stinky, brown liquid that leaches from your compost bin (if you have one with holes on the sides, like I do– I’ve slapped a wide plastic tub under the bin to collect the tea) as a great, organic bug repellant. Just put some in a spray bottle and spritz it on your plants. Now on to today’s recipe, Saffron Buns. It’s a weird irony, but summer makes me want to bake. Yes, the idea of starting up the oven in an already 90-degree kitchen may be odd, but there are other advantages to baking in summer. To cite just one, I feel more like actually doing something, instead of snuggling under the covers in front of the television set. Besides, the bananas ripen easily making it a perfect time to make some banana cake, the zucchinis just call out to be baked into some deliciously healthy zucchini bread, and even the yeast multiplies rambunctiously, sending breads mushrooming into big, fat, happy loaves. I’d been wanting to make a vegan Saffron Bun for the longest time, and although the kitchen was unbearably hot while they baked, I’m sure glad I did. And now I can share them with you. Mix together the yeast, water and saffron and let stand about 10 minutes. Make sure the yeast has started multiplying, or flowering, before you move on with the recipe. Continue to knead another 10-12 minutes until you have a smooth dough. Place in an oiled bowl, cover with a kitchen towel, and let it rise for two hours until doubled. Now turn the dough onto your work surface and punch it down. Cover and let it stand for about 10 minutes. 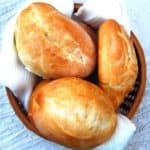 Divide the dough into 12 pieces and roll them into balls or rectangular loaves. Place in an oiled 9 X 12-inch baking sheet, close but not touching each other. 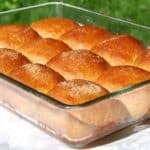 Cover the baking dish and let the rolls rise for another two hours. Brush the tops of the rolls with a mixture of 1 tsp soymilk + 1 tsp oil for some added gloss. Sprinkle some sugar on top. Preheat an oven to 370 degrees. Bake the breads for about 20-22 minutes until the tops are all richly golden. Cool for at least 10 minutes on a rack before you pull the rolls apart and eat 'em! 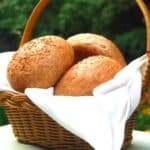 Those whole wheat saffron buns look wonderful in the photos, I’m going to bake some, I’ve never used saffron in baking before. I’m considering using “bread flour” for the white part. 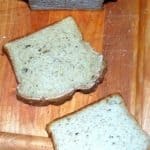 I have gluten, but bread flour is already high-protein. I’ll use the gluten with it. My kitchenaid K45 gave out a few years ago, have a small cuisanart processor that takes 1.5 cups flour maximum and a bigger very noisy Black & Decker which I can use for this. Used to bake pizzas every friday for a few years and got away from hand kneading. My tomatoes are growing (right over the septic tank) but my snow pea plants are three feet tall with only a couple pods on a dozen plants. I am baffled. I keep my compost covered and stir it when I add a 4 gallon pail to it every month. So happy to read your blog, Thank You. Mouth watering buns……looks so perfect and soft.. These look SO DELICIOUS. I’ve never heard of saffron buns before! I’m making this my next mission to turn gluten-free. 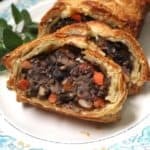 Many thanks to you for doing half of my usual work making a recipe vegan! 🙂 Yum! Rich looking beautiful buns, simply inviting..
Saffron is delicious but I haven’t heard of it being used in buns before – how inventive. m surely going to try these, once i have successfully baked the laadi Pavs. 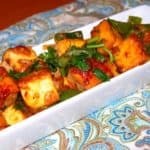 I would like to lovingly confess that initially when I started surfing your holycowvegan.net it was always the recipes which I wanted to read. But gradually m getting addicted to your write ups. I have to visit your site at least once a day. nad you what M not reading all the articles at once. M scared of finishing them reading too soon. Since it is quite lonely and no social life at this place (korukonda, small village in AP) I find them really refreshing and interactive. Your articles describing Mumbai brings a hearty smile on my face. Hi Anthony, nice to read about your vegetable garden– you are already way ahead of me! 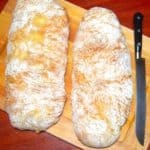 Desi, this would be an interesting project to turn gluten-free– looking forward to it! Mel, thanks for the award, and hugs. Nisha, you are so kind and sweet. I am glad you enjoy the writeups because I enjoy writing them just as much as I enjoy making the foods. 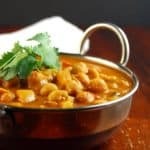 And kudos to you for attempting to make vegan recipes in a small Indian town where vegan substitutes are surely hard to find. I too wanna to have my own blog. Can you guide me how to go about it? Nisha, visit http://www.blogger.com and follow the steps to set up a blog. 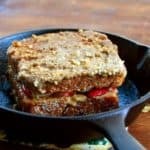 Does the flax seed usually replace eggs? and if so how many do I need to substitute? 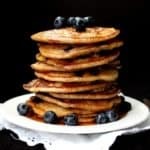 Im just wondering whether I can get away without the gluten AND the flax seed or will it be tampering too much with the recipe? The crust looks amazing! 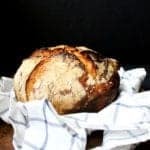 Miri, leave our the flax — I like adding it because it adds more nutrition and some moisture, but I’d guess the bread would be okay if you don’t add it.